Author: MacDonald, Mark Set In . . .
A dead man is discovered in his apartment, surrounded by notes, books, and other assorted fragments of his life. A distant acquaintance is called in to clean up the mess, clear out the space, and try to make sense of the suicide, which leads to his own world being turned upside down. As he sifts through the evidence of his friend's life and death, the things he once thought of as certain cannot now be taken for granted, subsumed by the anonymous urban chaos of Vancouver's West End, a world populated by voyeurs, exhibitionists, and lonely outcasts looking for a way out, and a way in. 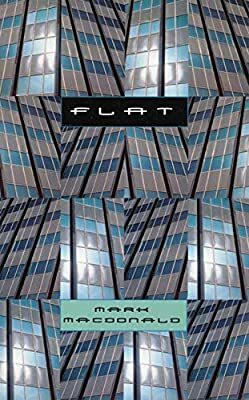 Elegantly written and full of sharp bursts of wit, "Flat" explores how we relate?and don't relate?to one another, amid an unforgiving concrete landscape that holds more secrets than it can bear.